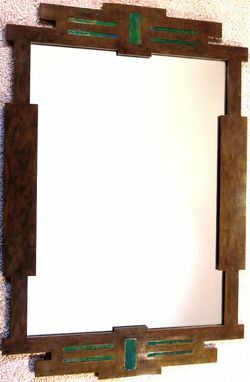 This large metal mirror features inset stained glass and a hand-applied "acid wash" dark brown color patina for the finish. It is a "one-of-a-kind" piece and comes ready to hang in a bedroom, hallway, dining room, etc. Ships to the USA and Canada.